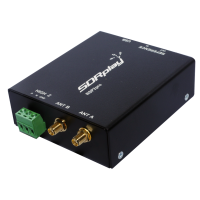 The SDRplay RSP1A is a powerful, full featured 14-bit wideband SDR Receiver covering 1 kHz - 2000 MHz. It comes fully assembled and tested and requires a Personal Computer, one of the SDR Receiver Application programs as well as a suitable antenna to provide an much improved level of reception compared to cheap 8-bit SDR-RTL dongles. Building on the success of the popular RSP1, the upgraded RSP1A offers a significant number of additional features whilst maintaining exceptional performance and great value for money. Used with the free Professional SDRUno SDR Software you can enjoy all modes of operation whilst monitoring up to 10 MHz of spectrum in real time. 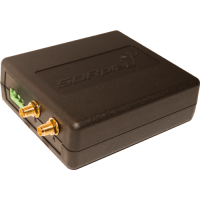 SDRUno software allows you to operate from 1 up to 4 independent virtual SDR Receivers within the selected 10MHz bandwidth of the SDRplay hardware. (The actual number of Virtual SDR receivers is limited by the processing power of the PC in use). SDRplay provides multiplatform driver and API support which includes Windows, Linux, Mac, Android and Raspberry Pi 3. There is even a downloadable SD card image available for Raspberry Pi3 which includes Cubic SDR. 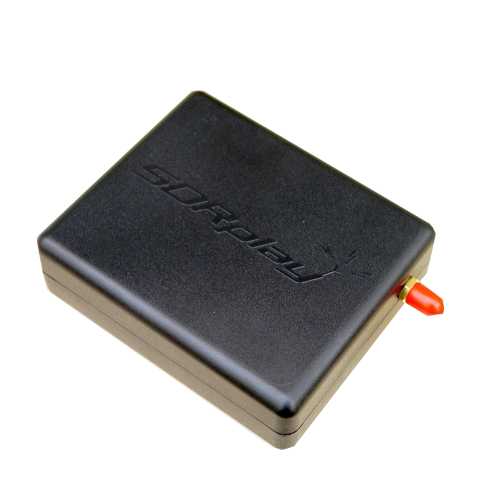 Package Contents: 1 pcs SDRplay RSP1A with "Getting Started" information. Note: The SDRPlay RSP1A requires a standard USB-A plug to USB-B plug Cable. 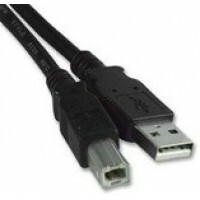 This USB Cable is NOT supplied with the RSP1 as the majority of SDRPlay buyers will already have such a cable available. The SDRplay RSP1 comes with standard 12 month warranty, except for those EEC Countries where Local Legislation provides for additional warranty terms. 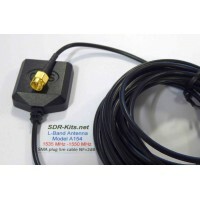 SDR-Kits as a UK Distance Seller complies with the local EEC legislation. SDR-Kits warranty includes parts and labour and the cost of return shipping, provided the product has not been misused. Specifically the RF Power applied to the RSP1 Antenna socket should be limited to a maximum of +10dBm to avoid damage to the RSP1. The RSP1A is available from stock - We ship within 48 hours via Registered Post / Tracked Airmail.